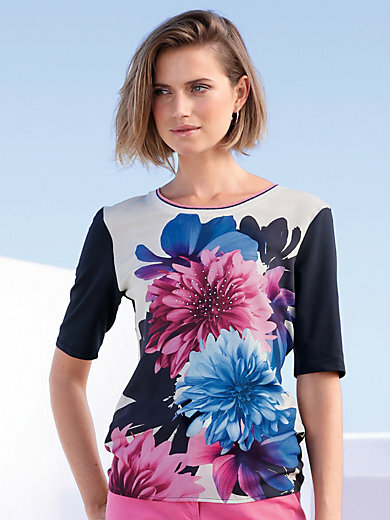 Top by GERRY WEBER with short sleeves. The woven front made of 100% viscose has beautiful floral motifs and is partially trimmed with rhinestones. Plain jersey sleeves and back made of 48% modal, 48% cotton, 4% elastane. Length approx. 25ins. The top is machine washable.